Can Benign Fibroids Become Malignant? Home » Can Benign Fibroids Become Malignant? Share the post "Can Benign Fibroids Become Malignant?" Ever wondered if your fibroids were capable of becoming malignant? Read on to learn more about fibroids and whether you should bother to worry if your fibroids are malignant. I have heard that fibroids are benign, but are they ever capable of becoming malignant? Fibroids cannot become malignant. A fibroid is benign by definition and will always remain that way. Although fibroids do have the potential to cause problems if they grow especially large, most women manage to live with their fibroids fairly well and never have any trouble with them. 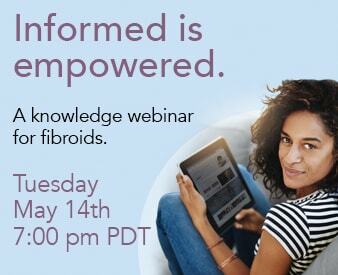 In fact, many women—even some who have really large fibroids— aren’t even aware they have them. On the other hand, a leiomyosarcoma is a uterine tumor which is a very rare cancer. Only 1-2% of women ever experience leiomyosarcoma. Some mistake this tumor for the fibroid itself and think that the fibroids have the ability to turn into this kind of tumor; however, this is not true. They arise separately from an existing fibroid.